Listing on this directory is voluntary and does not constitute endorsement by either NEDA or affiliated trainers. Any commerce between end-of-life doulas or trainers listed here and members of the public is a private transaction that does not involve NEDA or any affiliated individuals or organizations. To be considered for inclusion, please become a member and complete the application here. Please give us 48 hours to get your information listed. We reserve the right to edit the information sent to us for space constraints, consistency, accuracy and style. For assistance with your listing, contact NEDAlee17@gmail.com. In this unique 12 week online course, students learn the pillars of being with dying—emotional, practical, legal, and spiritual care—with videos from your instructor and a variety of experts in the field to create context for the work, curated exercises to deepen your practice, and assignments to further your skills. Students will be prepared to pass the NEDA proficiency assessment. 'The Art of Death Midwifery'​ is a 3-level, 75-hour training program for death doulas, spiritual counselors and home funeral guides; information, guidance and support to the death journeyer and family from terminal diagnosis through final disposition. Emphasis on the sacred, spiritual nature of the work; 20 participants max; 2x/yr Los Angeles. Also NYC, and Portland, OR. Our workshop educates on the dying process, the needs of the dying and family, providing holistic end-of-life care, the doula scope of practice/ethics and care model, creating atmosphere, understanding hospice and palliative care, communication skills, non-medical comfort measures, after death care and legalities, self care and continued mentoring. Guest speakers include: hospice RN, chaplain, social worker and certified art therapist. Nathalie is a Doulagivers® Training Specialist/Partner who educates families and communities about end-of-life processes and planning. She also mentors doulas in training and is a founding member of International Doulagivers Foundation. Dawn offers community end-of-life education, workshops, planning, posthumous services, and mentoring of end of life doulas. Doulagivers® Executive Officer and partner since 2016, Dawn is a founding member International Doulagivers Foundation, World Training Day, and is the founder/CEO of One Last Gift serving terminally ill children and their families. Nada Frazier is an End-of-Life Doula in Advanced Mentorship & Educator, certificate from Quality of Life Care. The Sacred Servant supports business clients and EOLD students with: hospice staff consultation and training; training and mentoring end-of-life doulas and end-of-life doula trainers; leading end-of-life education & workshops; and inspirational speaking. Offering 3-day EOLD training in Kapa’au on the Big Island of Hawaii and in Florida in compassionate caring for the dying that includes deep self exploration as well as developing skills to support the dying and their caregivers. Bobbi has trained and mentored volunteers in 2 hospices, and leads educational workshops on end-of-life matters and the EOLD Model of Care. 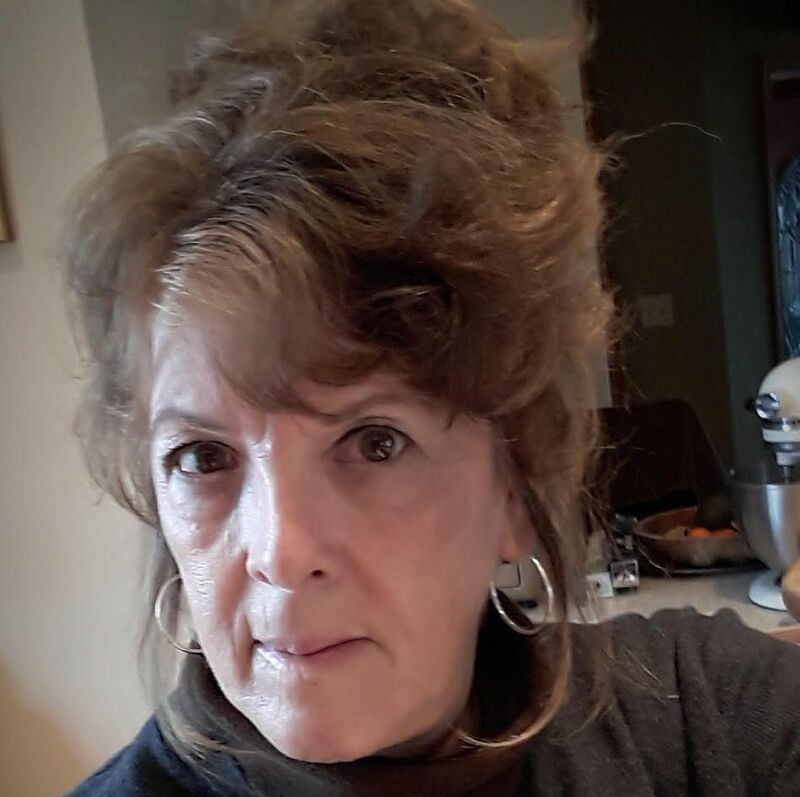 Practicing Hospice End of Life Doula Clinician and Certified Hospice and Palliative Nurse Assistant, Nancy is the owner and operator of 11th Hour Care, PLLC, having taught end of life education and practice to individuals, families, facilities, C.N.A. students, and others, and served as a No One Dies Alone volunteer. Trainings include extensive EOL education, proper care and hands-on practical training. Genna is the client relations manager, lead trainer, and partner with Doulagivers. Genna is also an elder care doula and care consultant. She offers community end-of-life education, workshops, planning, and mentoring of end-of-life doulas. I am Registered Nurse with 15 years of high risk labor and delivery experience and resolve through sharing grief counselor. I also have 15 years of hospice experience, and Respecting Choices Trainer/Instructor, and Reiki Master. I've dedicated my career to end-of-life care and support. Lifespan Doula Association is a membership organization offering doula training as well as a Doula Business Development Workshop with Patty and other continuing education workshops. Patty Brennan is the author of The Doula Business Guide: How to Succeed as a Birth, Postpartum or End-of-Life Doula, 3rd edition and The Doula Business Guide Workbook: Tools to Create a Thriving Practice, 3rd edition. Lifespan Doula Association offers quarterly in-person, 3-day EOL doula training in Ann Arbor, MI, that meets NEDA Core Competencies, preparing the student for the Proficiency Badge assessment. Trainings are limited to 24 students. A certification option follows, with mentoring, business development, monthly educational webinars and additional workshops on Advance Care Planning and natural death care. Dragonfly EOLD Program is designed for anyone wanting to learn about holding space for end of life transitions, learning about the human energy field, high sense perception, and boundaries. The certificate training takes 6 months, with monthly online classes and support groups, self-study curriculum, and two residential training weekends offered in New Mexico and Michigan. International Doulagivers Institute provides education and certification EOLDs through education, training and compassion. Suzanne is the author of Creating Positive Passings & End of Life Doula Level 1 Caregiver Training — a guide to learning the invaluable skills of how to care for someone at the end of life, and holds the Worldwide Leader In Healthcare Award from the International Nurses Association. I provide a Professional End-of-Life Doula training program that consists of 5 modules: the basics, diving deeper into doula's roles, goals, and souls, the inner doula, Medical for the non-medical, and bereavement doula. This program has been approved by the National Association of Social Workers for CEUs. Video-based online dual certification End-of-Life Specialist (CEOLS) Foundational Training in hospice volunteering, offering CEUs for nurses, LPN's, LVNs, Aides and Massage Therapists nationally. She is an end-of-life educator and trainer and works with hospices across the US. NEDA and NHPCO EOLD Council member, and Professional Doula International (PDI) founder. Deanna's experience as a Hospice RN and EOL Doula in Private Practice spans over 19 years. Accompanying the Dying: A Practical Guide & Awareness Training includes wisdom from the ancients to modern age considerations, including NEDA core competencies. Deanna is Chair of the NHPCO EOL Doula Advisory Council and a pioneering force in the EOLD movement. Developed by the UVM Larner College of Medicine this fully online, eight-week End of Life Doula Professional Certificate course is designed to provide an in-depth overview of the emerging role of end-of-life (EOL) doulas, how they fit into existing healthcare models, and the issues, challenges, and rewards that surround this field of end-of-life care. Level 1: DEATH COMPANION Discovering your relationship with death and those dying. Training in the physical and emotional care of the dying and the surviving family and friends. Level 2: PROFESSIONAL COMPANION Broadening existing health-care practices to include end-of-life care as a professional ally, integrating multiple traditions (cultural and spiritual). As a Doulagivers Training Specialist, I help to educate communities about end of life processes, helping to transform aging and death as natural parts of the life cycle. I mentor students enrolled in the Doulagivers programs, offering support and assistance throughout their training and well beyond. Marggie is the author of Sally: A Memoir, and Life as a Prayer.